I’ve started to realize that I actually like bird prints; not all, but quite a bit. I’m more drawn to prints that capture the beauty of jewel tones, you know, prints that are a bit more lively rather than very woodsy & natural. Over the past year or so, I’ve noticed how I’m really interested in vintage prints which display birds as well. 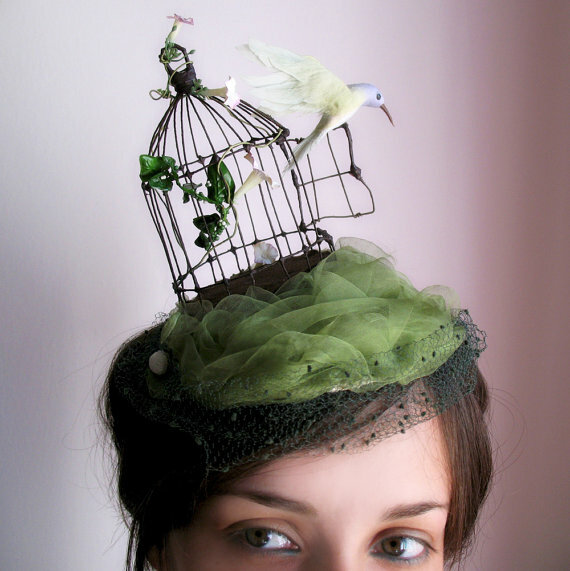 Not only have I taken a fascination to these creatures of flight, I’ve also been intrigued by their unique cages. So, I was especially delighted when I saw the hat below.